One of China's richest men has vowed to crush Disney's big plans for its giant new resort in the country. Wang Jianlin, a billionaire real estate and entertainment mogul, says his company is aiming to prevent Disney (DIS) from being profitable in China over the next 10 to 20 years. 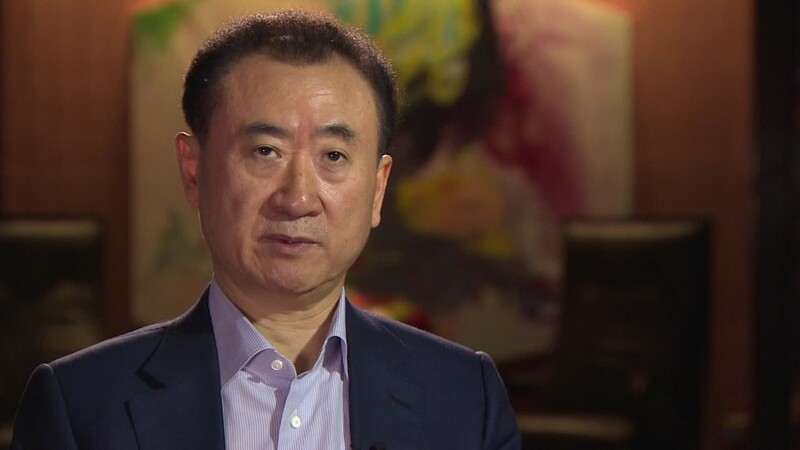 Wang's massive Dalian Wanda Group is also in the theme park business, and he isn't welcoming the new $5 billion Disneyland that's set to open in Shanghai next month. "Disney really shouldn't have come to China," Wang said on Chinese state television on Sunday. "It's financial prospects don't look so good to me." He said Shanghai's climate doesn't suit an outdoor theme park, suggesting Disney will have to charge high ticket prices and risk losing customers. A spokeswoman for Disney declined to comment, saying Wang's remarks were "not worthy of a response." Disney CEO Bob Iger met with Chinese President Xi Jinping in Beijing two weeks ago. Disney has been talking about building a Shanghai theme park since the mid 2000s. The latest version of the project was due to open in late 2015, but construction problems and design changes pushed the date back. The park features storytelling and design features that Disney hopes will appeal to a Chinese audience. Shanghai's traditional Shikumen-style architecture will be highlighted, as will themes from the Chinese zodiac. Disney also has a theme park in Hong Kong. But Wang, whose recent entertainment acquisitions include the Hollywood studio Legendary Entertainment, says his company has the scale in China to make life difficult for Disney. "We have a strategy: One tiger cannot compete with a pack of wolves," he said. "Shanghai has one Disney, but Wanda has 15 to 20 [theme parks] across China."